Do I need my own Motorcycle and Riding Gear? No. In most cases, there are dirt bikes and riding gear available for your use in the class. Contact the DirtBike School you will be attending for exact details. How long does the class last and what will we be taught? Classes last about six hours. Come prepared to learn how to conduct a pre-ride inspection, basic riding techniques, mental strategies and environmental awareness. What does DirtBike School cost? Prices vary depending on the provider. Please check with the DirtBike School you will be attending for these details. What materials will be given to students? Students that successfully complete a course will at a minimum receive an MSF DirtBike School completion card and the Tips and Practice Guide for the Off-Highway Motorcyclist booklet; riders under 16 will also receive the Parents, Youngsters and Off Highway Motorcycles booklet. Ages 6 - 11: maximum of 4 students. Ages 12 - 15: maximum of 6 students. Note: Ages 6 - 11 cannot be taught with other age groups except in family/group classes. Can a six year old child really ride a dirt bike? Yes, children are often the safest students because they don't have any pre-existing "bad riding habits." An experience like riding a dirt bike can give a child self-confidence that will spill over into other areas such as school and team sports. Will I be taught to race? No, but you will be taught the skills necessary to safely ride an off-highway motorcycle. Where that takes you is up to you. I have never ridden a street motorcycle before. Should I take a Dirt Bike course first? That is a great idea. 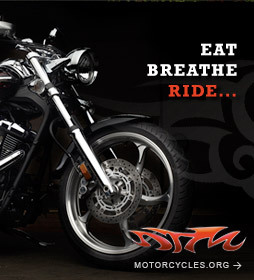 You will learn how to shift, balance, maneuver, and stop a motorcycle, plus some mental skills to help keep you safe. This will be a huge asset if you decide to take the MSF Basic RiderCourse for street motorcycles. Is there a more advanced course available? Yes, in some areas there are Trail Coaches that conduct the Introduction to Trail Riding (ITR) class. Please check the DBS Locations page for the ITR class in your area.